SobiPro is an advanced component that has been originally designed as a directory extension. Due to its extreme flexibility it can be used to create any kind of content. 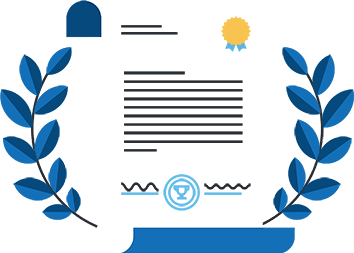 We have more than 10 years of experience in developing components for Joomla! with a programming education background. Add fields to an entry or category to classify your content! There is a huge amount of integrated fields implemented in the core. More fields are available to install. The SobiPro ACL is entirely based on the native Joomla! user groups concept, allowing you to create different permission rules for specific user groups and for specific directories in front- and back-end. SobiPro features a unique template system that allows to choose between different ways to design your website, or combine all of them. The search function is one of the features that make SobiPro a very powerful tool for site visitors. Almost each field can be configured to show up in the search form. Due to Bootstrap powered templates, you can show your content on any device out of the box. Also the administration panel of SobiPro is completely built with Bootstrap. SobiPro is implementing the most advanced and well known web development techniques. Its codebase is following the MVC architecture and makes use of recognised development patterns. To speed up your website, also with a lot of data, SobiPro has several integrated caching mechanisms. A SQLite based data accelerator, a XML view cache and separate JS and CSS file caches are available to improve the performance. Sobipro continues to amaze me to be honest. When I think a function doesn't exist its just that I haven't used it yet...out of the box the power is unbeatable. Tons of built-in features and very very flexible. It is designed on XSL templates so you can change anything and also include your own PHP. This is the component for you if you have the need for a directory on your site. Sobipro allows you to list entries and visitors to rate. SobiPro is the best directory component of all. Outstanding support and endless opportunities! I needed to modify a template so it would look exactly how I wanted it to look and I had not had any html experience but with the help of the SobiPro Team's support club I have been able to achieve what I	needed. 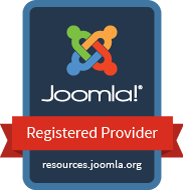 I read somewhere, that SobiPro is one of the best directory component for Joomla. I can not agree. I try some directory and SobiPro is best of them. With this component I have complete freedom over the CCK content. Whenever it comes to unique, individual request, I choose sobi. The possibilities are endless and the sky is the limit!!!! Very versatile directory extension and great support. I like that it can be customized for all sorts of uses. They use a XSL template system, so I could change many screens to look as I wanted. Love it! I had a lot of requests, tried several extensions - only SobiPro fulfilled what I needed. If you want to create a directory website, SobiPro does the job perfectly! Features are too numerous to be listed. The strength of SobiPro lies in the ability to adapt and customise the core product to suit one's needs. Regular upgrades and fixes are released and there is always ongoing development. Sobipro is amazing..! With sobipro I can do wharever I want, I have created movies site, radio stations, tv streaming and news sites and the results are awesome. Sobipro is very powerful component with tons of features - I am using the SobiPackages template and it does exactly what I wanted to achieve.